To keep her mind off her troubles, Polly throws herself into her favorite hobby: making bread. But her relaxing weekend diversion quickly develops into a passion. As she pours her emotions into kneading and pounding the dough, each loaf becomes better than the last. Soon, Polly is working her magic with nuts and seeds, chocolate and sugar, and the local honey—courtesy of a handsome beekeeper. 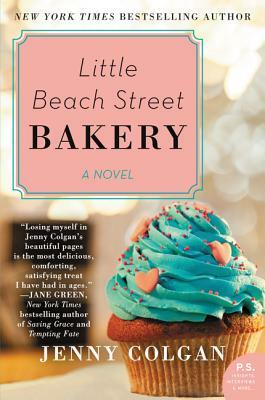 Packed with laughter and emotion, Little Beach Street Bakery is the story of how one woman discovered bright new life where she least expected—a heartwarming, mouthwatering modern-day Chocolat that has already become a massive international bestseller.